Early in the 20th century, guests at Easton Lodge included George Bernard Shaw, Gustav Holst, Ramsay McDonald and HG Wells (pictured above), whose family lived in one of the estate properties. He, in turn, received visits from such notables as Dame Ellen Terry, AA Milne and Charlie Chaplin. In 1918, another fire severely damaged the Jacobean wings of the house. The fire is thought to have been started by one of the Countess’ pet monkeys. Major portions of the Estate were auctioned in 1919/20 and outlying parts had already been sold in the 1890’s. The Jacobean wing of the house was rebuilt after this second fire, and the Countess, having been widowed in 1924, eventually moved into the West Wing where she remained with her beloved animals until her death in 1938. In 1923, Daisy offered the whole estate to the Labour Party – they declined. She stood for Parliament as Labour candidate for Leamington & Warwick but lost out to Anthony Eden. Such was her commitment that in 1926 she then offered the entire estate to the TUC who were very keen to accept. Plans were made to develop Easton Lodge into a college and university but, after the General Strike in 1926 through which the TUC’s funds were severely depleted, the arrangement had to be abandoned as they were no longer able to finance such an institution. A life-long protector of animals, Daisy also offered the estate to London Zoo but, as they had already acquired Whipsnade, they too declined. In 1937, the Countess established a country nature reserve on the estate, which became home to 200 red and fallow deer, 900 St Kilda sheep, Shetlands ponies, and aviaries for her increasing numbers of bird species. After Daisy’s death in 1938, the estate was inherited by her son Maynard Greville who lived nearby in Little Canfield. He shared neither his mother’s beliefs in Socialism nor her interest in the formal Gardens and consequently they began to succumb to nature. However, in 1939, the War Office requisitioned Easton Lodge for use by the Army and the Home Guard. 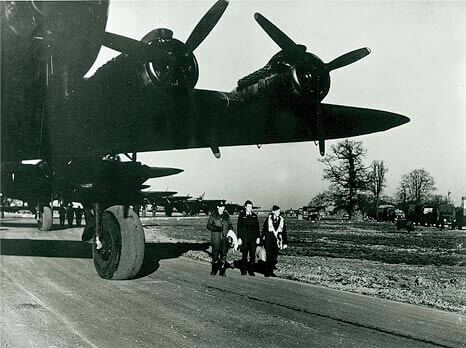 In 1942/43, thousands of estate trees were felled (and blown up) to enable its use as an airfield and in 1943 the 386th Bomber group, the ‘Crusaders’ of the US Air Force, took up residence. Many of their Marauder aircraft based here were involved in the bombing of the Utah landing beaches in Normandy prior to the troops’ arrival on D-Day in June 1944. The 386th then moved to France and the RAF 190 and 620 Squadrons were billeted throughout the estate. Their major operation was the breakthrough into Germany, the Rhine crossing, flying Stirlings and towing Horsa gliders. After VE Day, the RAF also moved on, and Easton Lodge became home to 21 VRD RASC. At one time, there were up to 34,000 vehicles parked on the Estate which the Army occupied until 1950 when it was returned to its owner, Maynard Greville. Maynard Greville, himself a noted arboriculturalist, decided to create an arboretum in the Gardens, fully intending to extend this over much of the Italian and Japanese Gardens, although in the end they actually disappeared under brambles and saplings. He demolished the Victorian mansion and planted silver birch on the foundations. He handed over the lakes to the then newly-formed Dunmow Fishing Club which has continued to use and maintain that part of the Estate (separately from the Gardens). Maynard Greville died in 1960, leaving the Estate to his daughter, Felice Spurrier. In the 1960’s, Mrs Spurrier sold the remaining buildings on the estate to Charlie Wearn, a local man dealing in architectural salvage, who took ownership despite the fact that Maynard Greville had already overseen the removal of much of the formal gardens and the sale of the statuary, Ham & York stone paving, urns, etc. Mr Wearn did attempt a restoration project on the remaining buildings but it was never completed. In 1971, Brian & Diana Creasey bought the West Wing that had remained unoccupied for more than 30 years, together with 1½ acres of land including the 17th century dovecote. Though greeted by 6ft tall brambles, briars, nettles and a concrete jungle, over the next twenty years the Creaseys managed to create beautiful & atmospheric gardens, successfully incorporating restoration of the old with elements of their own design. In 1985, they opened their gardens to visitors under the National Gardens Scheme. 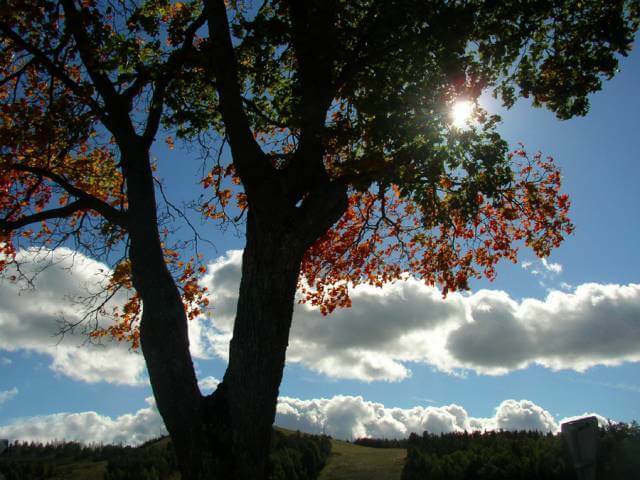 In 1993, and after several failed attempts, they personally acquired a further 4½ acres of the grounds for restoration. 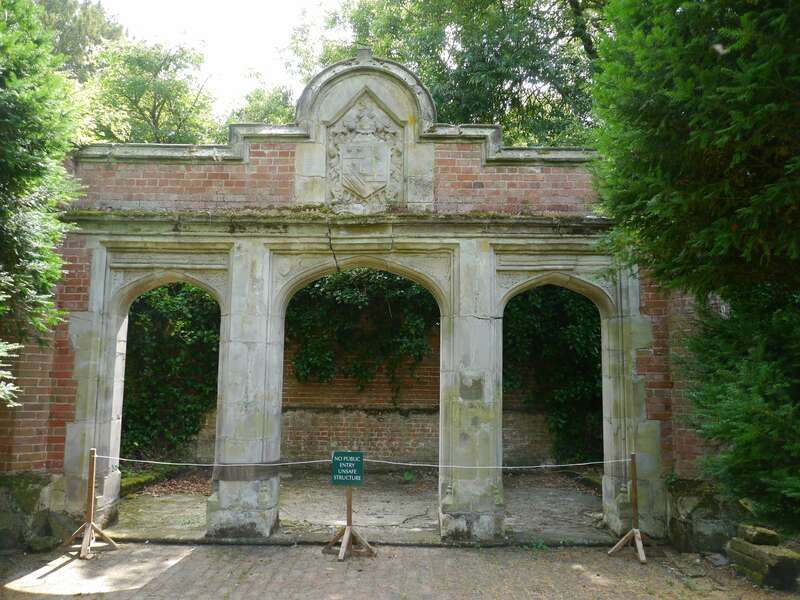 Then, in 1995, with the permission of the owners, the Creaseys and a small but willing army of professional and amateur volunteers began the monumental task of fully restoring the 23-acre Gardens of Easton Lodge. 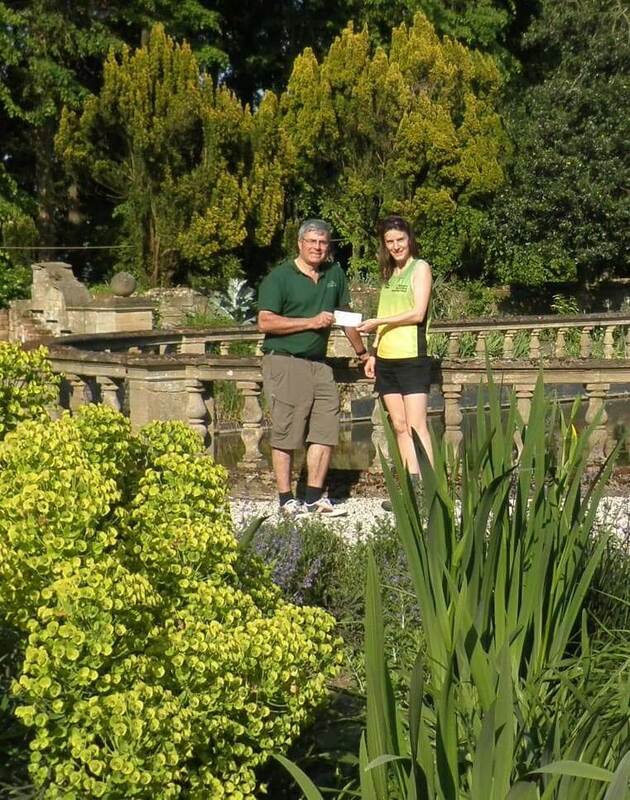 In 2003, The Gardens of Easton Lodge Preservation Trust was formed and in 2004 it became a registered charity (nr 1101442). In 2004, and after 400+ years of ownership, the Spurriers sold off the 1600-acre estate to Land Securities plc, the largest property company in the UK. From 2002 The Gardens faced possibly their greatest threat in the form of a planned second runway at nearby Stansted Airport which would have seen the point of aircraft take-off fall approximately 700 yards from their boundary. However in May 2010 after a long campaign by Stop Stansted Expansion and the election of a new Government, Stansted Airport announced that it had withdrawn its application to build a second runway at the airport. 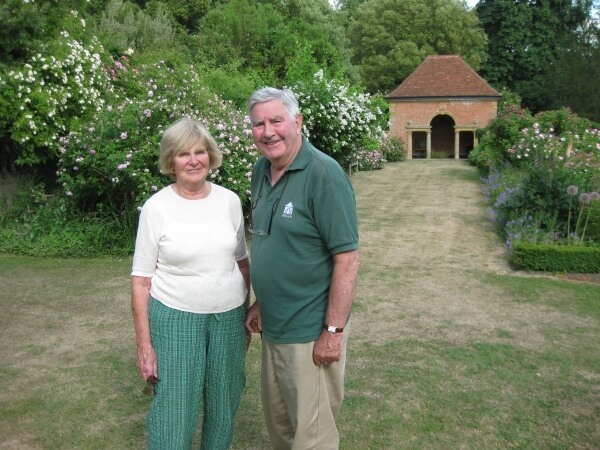 When Brian & Diana Creasey retired at the end of April 2008 (although still remaining in Warwick House), The Preservation Trust took over the day-to-day running of the Gardens. Please click here to see how to purchase a DVD or a book about the Creasey’s time at the gardens. Hugely encouraged by the response to the open day in 2009, and by the offers to join the Volunteering Team, the Gardens were opened again for snowdrops at the end of February through to early March 2010, following a long icy spell which delayed their appearance. From April-October 2010, the Gardens were open to the public one Sunday a month and were visited by over four thousand people during that period. In August 2010 the Creaseys left Warwick House and new owners moved in. They are very supportive of the work of the Trust and have already made a substantial difference to their part of the gardensand especially the area around the house itself. 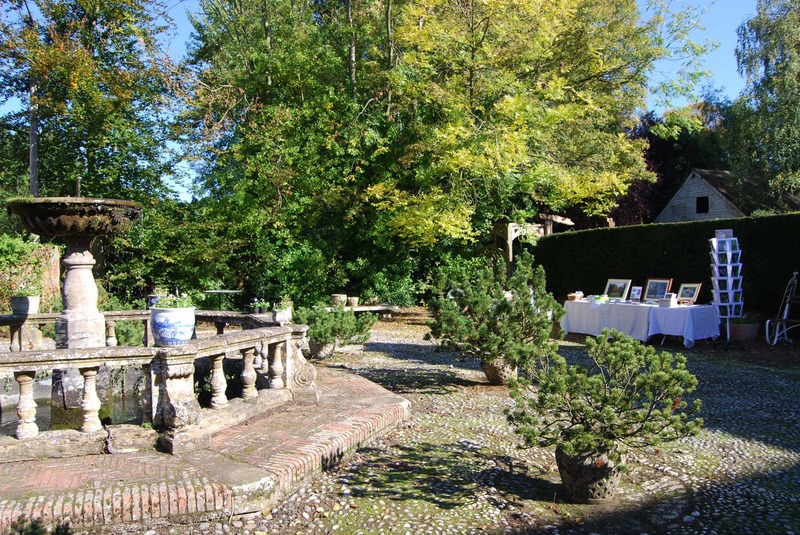 Memorably we erected our “tea pavilion” near the croquet lawn from which to serve our wonderful homemade refreshments. This building was bought with the money raised at the 2010 open days and was put up and painted by our volunteers with grateful thanks to George Sadd from the supplier, Poulton Portables. 2012 was another good year with two hugely popular Snowdrop Sundays. The main season was hit in part by the “glorious British weather” but we had lots of visitors, many for the first time and they had a wonderful time. We introduced guided tours for the first time and these proved a great hit with our visitors. We also had our first photography competition in the gardens and produced our second calendar.